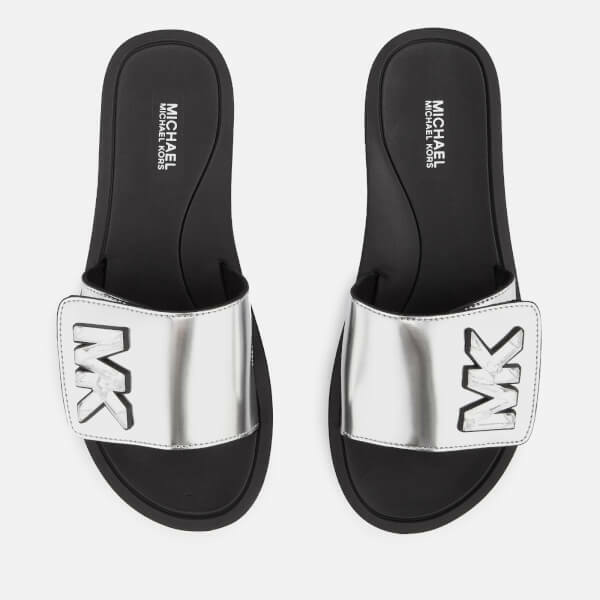 Logo slide sandals from MICHAEL MICHAEL KORS. 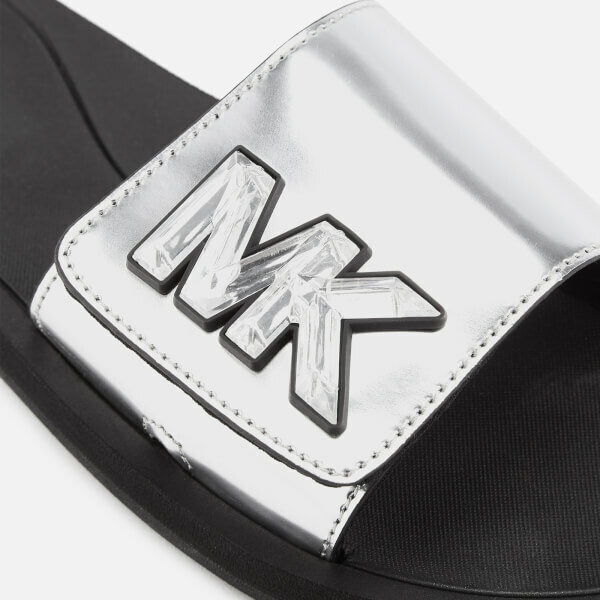 The silver sliders feature a wide Velcro toe strap in faux patent leather and a cushioned footbed. 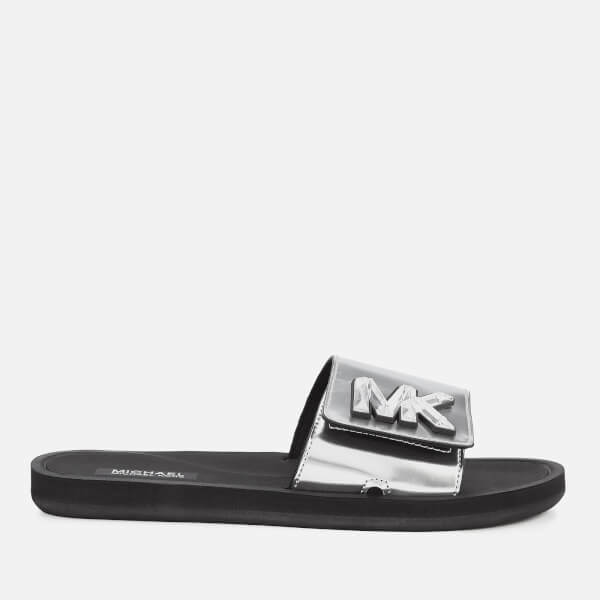 Set upon a non-slip sole, the shoes are completed with crystal ‘MK’ detail.